Chinese Medicine has a history spanning a couple of thousand years. Certainly, a lot of techniques and theories have been superceded and modernised, and with its wealth of cumulative experience, Chinese Medicine has developed complex diagnostic and treatment protocols to treat a myriad of health disorders. These range from musculo-skeletal problems such as back pain, bursitis and sports injuries to general internal medicine issues. With a truly holistic approach to the body's response to disease, the scope of practice of Chinese Medicine is almost limitless. With it's effect of regulating hormonal, circulatory and nervous systems, Chinese Medicine focuses much more on balance than specific complaints. A diagnosis is synthesized by collecting information from a range of signs and symptoms, thereby highlighting a Pattern of Disharmony. In this way it's possible to treat a number of symptoms at the same time. Chinese Medicine practice incorporates a wide range of modalities, of which two major methods are acupuncture and herbal medicine. 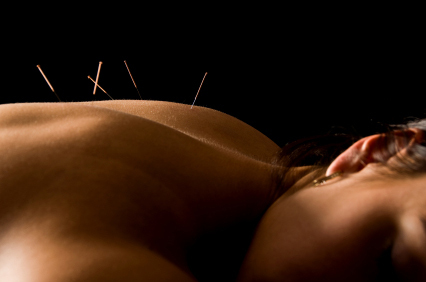 Acupuncture entails the application of a range of stimulation techniques of specific acupuncture points. In acupuncture patients are treated by inserting and manipulating thin, solid needles that are inserted into acupuncture points in the skin. According to Chinese Medicine theory, stimulating these points can correct imbalances in the flow of qi through the body. Herbal medicines are generally based on traditional formulae - combinations of herb groups known to have stroner effects when cooked together than individually. These formulae may have as little as three ingredients or as many as twenty, and may be hundreds (up to two thousand) years old. Many come in pills or capsules, but in complex cases these formulas need to be sdjusted to suit the patient. We use both raw ingredients (pictured) to cook into a decoction, as well as modern freeze-dried ingredients to create an individualized medicine which is adjusted as the condition changes. Chinese medicine practitioners utilise both traditional and modern methods for diagnosis and to evaluate therapeutic outcomes. Traditional methods include observation of the tongue and palpation of the pulses together with an analysis of the other signs and symptoms. Modern methods can include reviewing results of conventional western diagnostic tests. And yes, we treat plenty of kids, pregnant women, and people who don't know what's wrong but "just don't feel right". Emily Parker is a Notre Dame girl, and moved to Melbourne to obtain her degree at the Melbourne College of Natural Medicine. She graduated in 2001 and moved back to Shepparton, married Jason and started practice before joining Klaus in 2005. in 2017 Emily completed her Masters of Herbal Medicine (with Distinction) through RMIT. She has three young boys, is a registered Chinese Medicine practitioner with AHPRA and a member of ATMS. Mitchell Grandell is another local who grew up in Numurkah, and spent as much free time as possible honing his golfing skills. He completed his double degree at RMIT in Melbourne , which included a 5 month internship in Nan Jing, China. Mitchell is a keen gardener and has an interest in developing the local market for the growing and processing of Chinese herbs. He is a registered as a Chinese Medicine Practitioner with AHPRA, and is a member of the FCMA. Here at Shepparton Acupuncture we are comitted to providing a proffessional and comprehensive Chinese Medicine service. Each consultation will vary according to the presentation on the day. We'll ask lots of questions, check your tongue and wrist pulses and take into account other information such as blood test, X-ray or MRI results you may have brought in. Treatment given falls into two broad categories - external or internal. The clinic is open daily as well as most Saturday mornings. Rebates are available to patients for acupuncture consultations that have extras cover with their fund. Receipts are issued on payment, but claims can be made on the spot via our HiCaps facility. Currently, HCF patients are not be able to process claims via Hi Caps and need to use their receipts. Remember to check with your private health insurance provider to ensure Acupuncture treatments are covered in your policy. To ensure you will receive some reimbursement for the treatment costs of an Acupuncture session please ensure you treating doctor has requested Acupuncture treatment to be approved by the insurer. Also ensure you have received confirmation from your Insurer (TAC/WorkCover) that they have approved this treatment. All TAC and WorkCover clients will be charged at the concessional rates. It is your responsibility to seek reimbursement from your insurer.